Curcumin is a fantastic anti-inflammatory and this is important as the precursor to cancer is chronic inflammation. Curcumin has proven to be effective in treating and helping to prevent the following; cancer, colitis, Chron’s disease, lupus, irritable bowel, liver and heart disease, arthritis, depression, and diabetes. Curcumin is found in turmeric and is an active phytochemical. This phytochemical is a powerful anti-inflammatory which is important as adverse conditions develop in a person’s body from chronic inflammation. It works by the regulation of apoptotic proteins which are responsible for normal programmed cell death. 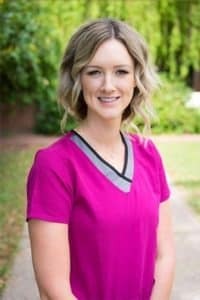 This process helps eliminate abnormal cells from the body. It also helps regulate cytokines which are inflammatory molecules. They allow communication between all cells. What’s interesting is curcumin is able to distinguish between an abnormal cell and a normal cell. It prevents the replication and growth of abnormal cells. Consuming curcumin works in the reduction of inflammation and helps to manage abnormal cells and control their growth. However, consuming curcumin doesn’t allow the healing potential to be fully realized as it’s not able to be readily absorbed by the body. Finding ways to unlock curcumin’s healing power has been the goal of many researchers around the world. When curcumin is used as an injection and put directly in a cancerous tumor, it has been found that residual levels of curcumin linger for a period of up to 30 days. As a result of these residual levels, the programmed cell death or apoptosis and tumor growth inhibition is greatly increased. What was found in a recent study is intravenous curcumin therapy is an effective treatment for healing brain damage created as a result of radiation treatment, trauma, and stroke. 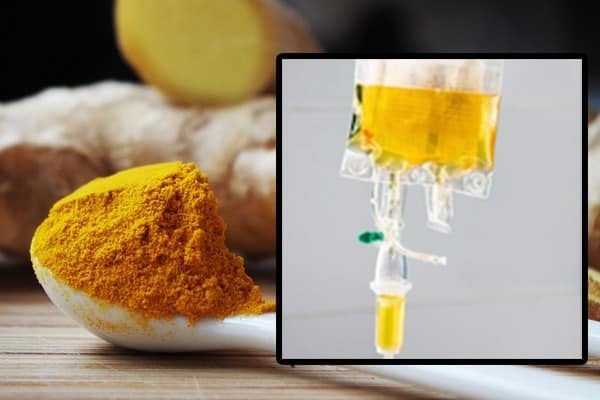 A recent Chinese study revealed that curcumin therapy administered intravenously as a treatment was successful in stifling colon cancer cell growth. As a benefit of curcumin being fat-soluble, adding it in as a part of a solution delivered intravenously allows for a broader distribution throughout the entire body. Promoting healthy cell growth and at the same time slowing down cancer cell creation and growth are two important things that curcumin has the ability to do. It enables programmed cell death or apoptosis of lower stage cancers better than other existing treatments. It fights enzymes and toxins that increase the growth of cancer cells and dramatically slows down and quite often inhibits the advancement of cancer. It stops the development of newly created blood vessels or angiogenesis which cuts off the supply of blood to cancer cells. It also starves these cells and helps prevent them from growing. Curcumin is able to slow cancer growth because it slows down inflammation. Intravenous curcumin is readily absorbed which is very important for people with cancer where time is of the essence. It is a powerful antioxidant in combination with vitamin C, it has been shown to help with medications that cause liver damage. The production of elevated levels of glutathione which is known as the master antioxidant is initiated by curcumin. Glutathione helps to greatly reduce toxicity in the body. Another element that helps increase the bioavailability of curcumin is phosphatidylcholine. This is an all-natural chemical that you can find in mustard, eggs, and sunflower seeds. When phosphatidylcholine is used intravenously it helps in treating atherosclerosis, high cholesterol, liver disease, hepatitis C and fatty tumors. Combining these two together is incredibly toxic to the cells of breast cancer and five times more efficient than using curcumin on its own.